Manhattan District Attorney Cyrus R. Vance, Jr., held the first-ever “Art of Healing” festival in partnership with New York City Council Member Diana Ayala and local community-based arts and service organizations this weekend in East Harlem. The festival, held at P.S. 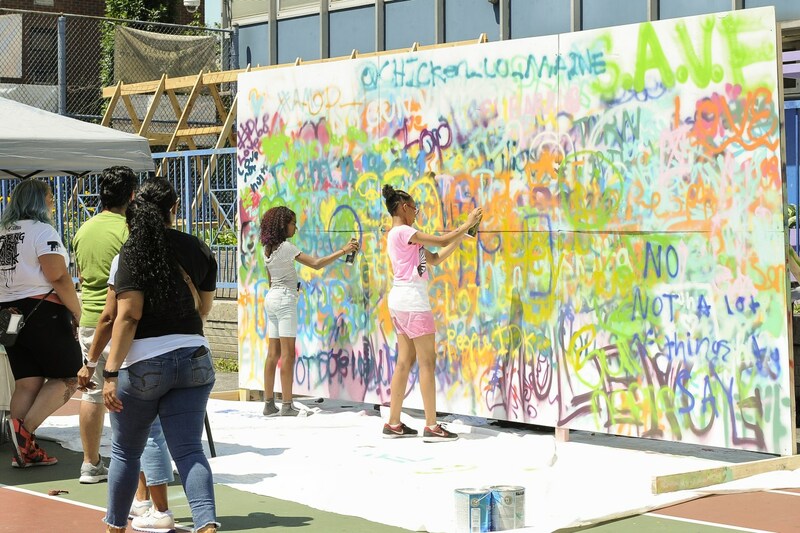 7 M. Samuel Stern School on East 120th Street, welcomed residents and community members from the surrounding neighborhood and encouraged them to use creative arts as a resource to heal trauma resulting from gun violence. The festival featured live music and spoken word performances, with speeches by Aalayah Eastmond, a student-activist from Marjory Stoneman Douglass High School and a survivor of the February 14 shooting incident in Parkland, Florida, as well as the Manhattan D.A.’s Office’s Gun Control Advocacy Fellows: Tavia Armstrong, Kevin Louissant, and Steven Pacheco. The Art of Healing festival invited community members to use art as a resource to heal trauma resulting from gun violence. Volunteers from local arts and service organizations staffed activity stations to engage children and their families through music, spoken word, mural painting, and t-shirt and button design. Counselors and social workers from the Manhattan D.A.’s Office’s Witness Aid Services Unit were available at the festival, and local community-based organizations also provided information and resources for victims at an on-site resource fair. More photos of the event are available here. The festival coincided with the Manhattan D.A.’s Office’s gun buyback event in Central Harlem. The buyback, hosted in partnership with the NYPD, allowed participants to anonymously turn in their guns in exchange for up to $200 in prepaid gift cards. Held on June 30, both events also coincided with the conclusion of Gun Violence Awareness Month, which brings law enforcement and community members together each year in June to discuss solutions to gun violence and strategies for building safer, healthier communities.